"He was a magic horse who had a tremendous following because of the wholehearted way he went about his racing." It is with regret that I have to report that our hugely popular Cheltenham Gold Cup winner Denman was put to sleep painlessly yesterday at Ditcheat at the age of 18. The decision was taken by his devoted owner Paul Barber with the full support of myself, our head lad Clifford Baker and our vet Buffy Shirley-Beavan. We all agreed it was the right thing to do because but he had begun to go downhill in the past few days and we did not want to see him suffer. Denman was a superb horse who enjoyed a fantastic life in retirement, first of all team chasing with Charlotte Alexander in the Cotswolds before returning to Ditcheat where he was turned out to grass in the care of Paul's daughter in law Emma with a couple of other retired horses. Paul visited him almost every day and was immensely proud of his achievements on the racecourse. I remember seeing Denman for the first time at Adrian Maguire's yard near Cork while Paul and I were on a shopping trip in Ireland. It was a few weeks after he had won his maiden Point-to-Point in March 2005. I was bowled over by Denman's presence and raw power as he was led into view. He had only taken a few steps when I told Adrian I'd have him. The words were hardly out of my mouth when Paul Barber countered, "No you won't. I'm having him". Neither of us had any cause to regret the deal that took Denman home to Ditcheat. Paul had already owned one Gold Cup winner See More Business and Denman would famously go on to give him a second triumph in the race in 2008 by beating his next door neighbour Kauto Star, the reigning champion, by seven lengths. He gave his all that day with a stunning run from the front and was out on his feet afterwards. That autumn he was diagnosed with a fibrillating heart which required specialist treatment with Celia Marr in Newmarket. Denman took a long time to recover his condition and full strength once back in training and in my view was never quite as good again. But he showed that he still retained his competitive edge and plenty of ability by winning a second Hennessy Gold Cup with an astonishing performance under top weight and also finishing runner up in three more Gold Cups. 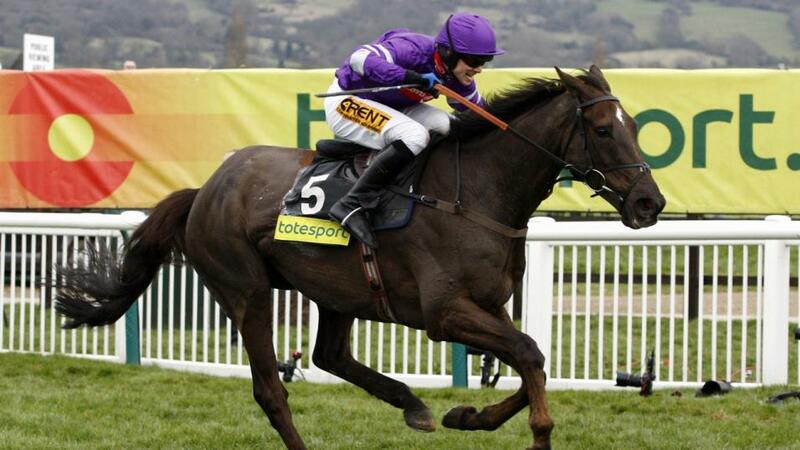 When he retired in 2011 he had earned in excess of £1 million with 14 victories from 24 starts under rules but mere statistics cannot possibly do him justice. Denman was known affectionately to punters and race goers as 'The Tank' which I always felt was a fitting description. He was a magic horse who had a tremendous following because of the wholehearted way he went about his racing. He was tough, hardy and willing, wasn't the easiest to train and would bite your hand off in his box given half a chance. He came along at the right time and was one of our superstars during a golden era for Team Ditcheat. Denman was never a particularly good workhorse on the gallops, sensibly saving his best for the track where his strength, power and his never say die attitude made him so difficult to beat. For several years he lived in the adjoining box to Kauto Star and their first showdown at Cheltenham in the 2008 Gold Cup was a promoter's dream. I feel so privileged to have trained the pair of them as they were two of the best chasers ever seen on a racecourse.